The Toy Poodle is a small and lively domesticated dog, known for its thick, tightly curled coat and enthusiastic nature. The Toy Poodle is a smaller variant of the Poodle, a water retriever hunting dog, officially adopted by the French but believed to have originated in Germany. It was popularly used in the gun dog role for duck hunters and paintings of the breed stretch back to the 15th and 16thCenturies. The Toy Poodle type is a very popular show dog and is just one of three official poodle types. It’s believed that the Toy Poodle was developed in England by mating the Standard Poodle with small terriers. Toy Poodle breeders first developed the breed to find and dig up truffles, a common practice in England, Spain and France in the 1800s. Those that weren’t put to work ended up becoming the companion animals to the aristocracy, and the true beginnings of the Poodle hair design tradition. Regardless of its beautiful and delicate appearance, the Toy Poodle’s hunting background is reflected in its eager and energetic nature. They are very intelligent animals, loyal and full of energy. 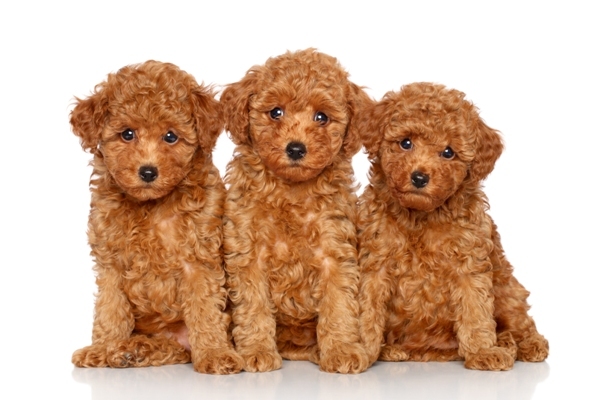 Toy Poodle puppies have a reputation for getting into mischief if they’re not stimulated with games and exercise and the breed can develop ongoing behavioural problems if not given enough human attention. The Toy and Miniature types, while generally good-natured, aren’t recommended for small children. While they are very loyal and joyful companion dogs, the toy variety doesn’t have as much patience for kids as the standard type. Toy Poodles will nip and growl due to fear and confusion and younger children may unknowingly provoke them. Toy Poodles come in a very wide range of colours. 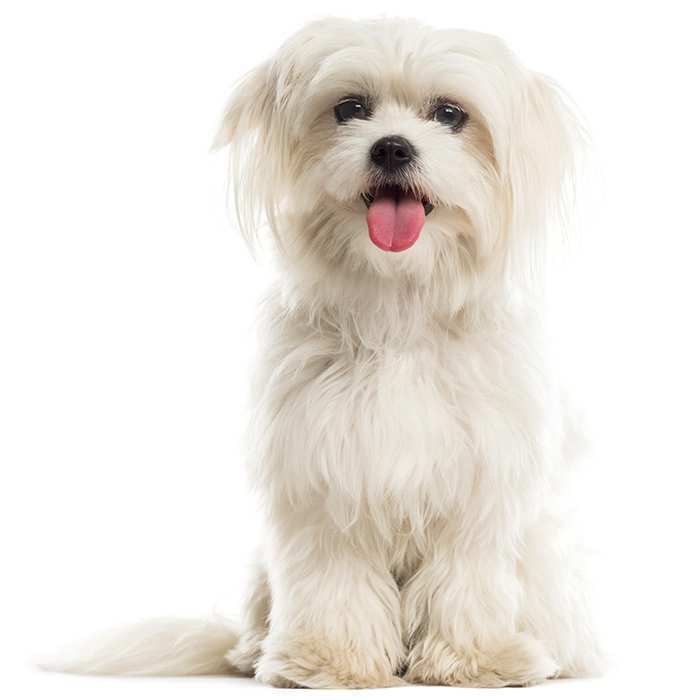 Some include white, brown, black, silver, red, apricot, cream, silver beige, parti and brindle. The parti colour is popularly considered the original colour of the Poodle.  Toy Poodles generally measure between 24 and 28cm and a healthy example should weigh between 3 to 4kgs. The average Toy Poodle will live for between 12 to 15 years. 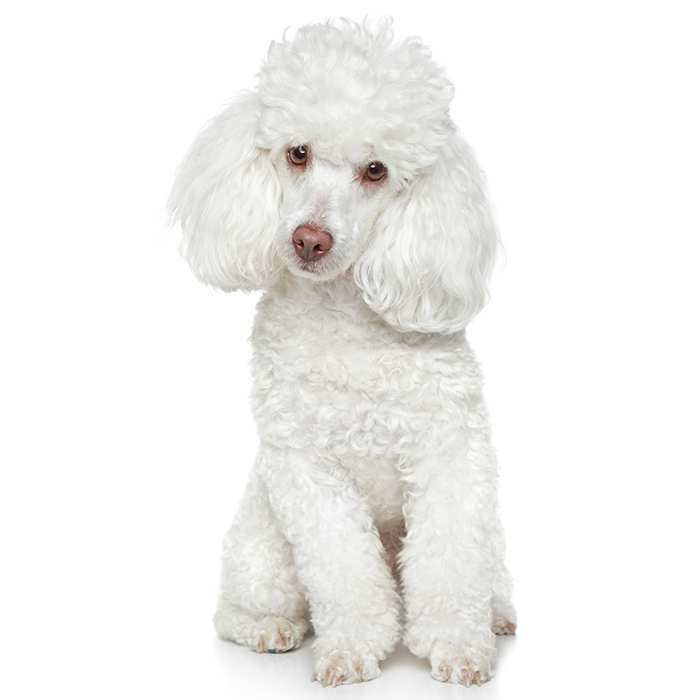 Toy Poodles are very joyful, playful and highly intelligent little dogs. They require a great deal of both physical and mental stimulation, paired with an owner who won’t allow any misbehaviour. 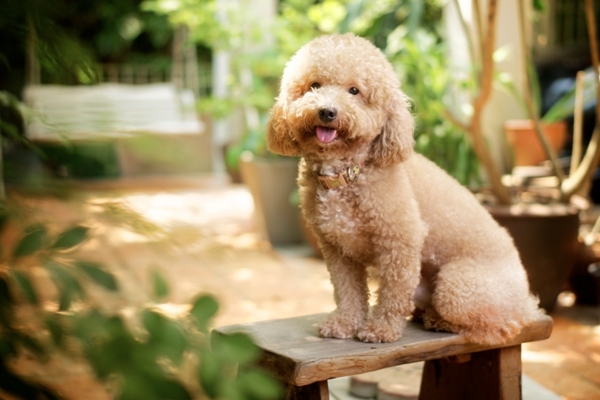 Like many hunting breeds, the Toy Poodle requires a strong and persistent owner to take control. Both Standard Poodles and Toy Poodles have a rich history, steeped in a long tradition of hunting. They are highly intelligent and alert dogs. They require a great deal of exercise, at least one or two walks daily with games. Toy Poodles get bored easily and their lack of interest can manifest in bouts of misbehaviour. Training from an early age is the best way to avoid behavioural issues down the track. A Poodle’s owner must position themselves as the pack leader; dominant, firm and fair. Clear and simple commands are best, paired with firm and consistent discipline. Often a Toy Poodle will destroy shoes or dig up pot plants around the house when not stimulated. 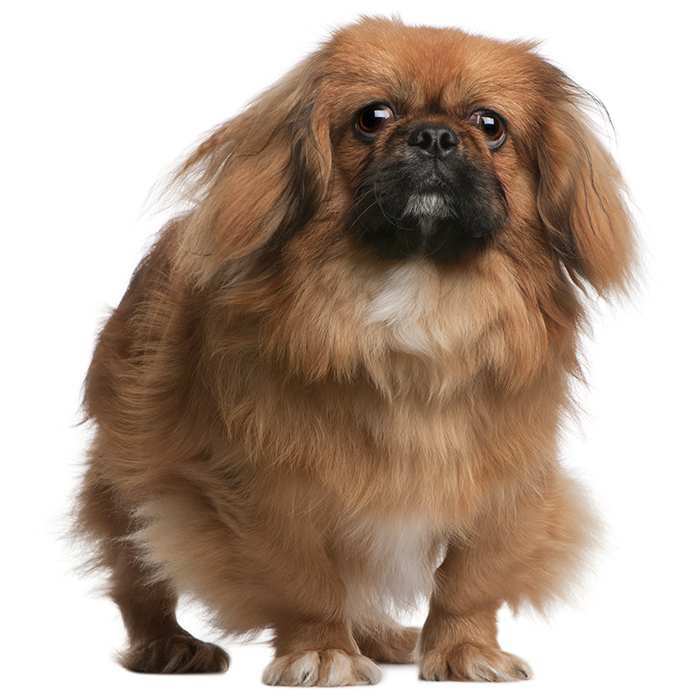 The breed tends to develop separation anxiety also, meaning regular and quality human contact is essential. While Standard Poodles are rather good with children, Toy and Miniature Poodles tend to be less patient. Yapping, growling and biting can occur in Toy Poodles that feel threatened and fearful. It’s best to have the Toy variety around older children and teenagers, with close supervision a must for younger, smaller kids. Toy Poodles, or any Poodle for that matter, excel at dog sports and obedience training. Their intelligence and athleticism are wonderful traits, but must be managed carefully. A Poodle that is well-trained and not spoilt will prove a great companion animal.  What are the most common health issues for Poodle – Toys? Epilepsy. Although it affects only 3% of dogs, Poodles are prone to epilepsy. Although a severe condition, like humans, epilepsy can usually be controlled through the careful use of proscribed medication. If you notice your dog is having recurrent seizures, it’s important to make an appointment with your vet as soon as possible for observation. Gastric Dilatation and Volvulus. A serious condition, gastric dilatation is when the stomach becomes swollen with gas and fluid. Volvulus is the twisting of the stomach. 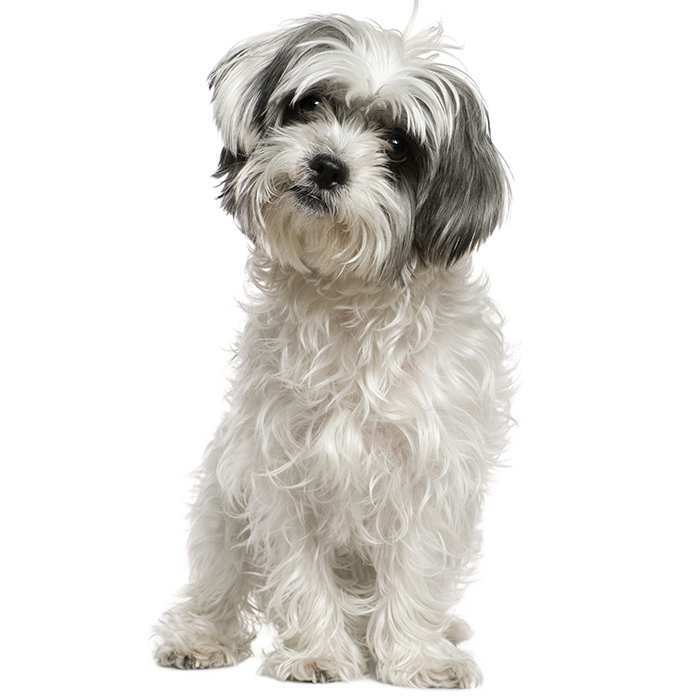 This will prevent the dog from vomiting and is quite a serious condition; something life threatening when left untreated. It can cause dehydration, gastric perforation, and peritonitis. Signs to look out for include retching without vomiting, enlargement of the abdomen and restless pacing. The Poodle may whine or groan when their belly is touched. The best way to avoid gastric dilation and volvulus or ‘bloat’ is to avoid feeding your Poodle large meals. Spread them out during the day and feed them at least an hour before or after any rigorous exercise. Skin Allergies. Toy Poodles are prone to skin allergies and may develop rashes or excessive hair loss as a result. Keep an eye out for scratching and general discomfort.  Visiting the vet can bring about a solution, but regular bathing and flea control is a good preventative measure. While Toy Poodles may be a younger Poodle type, Poodles have been around for at least the last 400 years, probably longer. The true origin of the Poodle is the subject of heated debate. The French have officially claimed the Poodle as their own yet it is widely believed that the origins of the Poodle are in fact German. Originally developed as a water retriever hunting dog, bred to retrieve ducks and other water fowl from rivers and lakes, it is believed that the name Poodle is derived from the German word pudel meaning ‘plays in water’. The haircuts the Poodle is known for or ‘clip cuts’ have their origins in the poodle’s early hunting days. Owners would shear the legs of the poodles to make swimming less difficult, leaving fur only on the joints to guard against the severe cold of the water. The French know the breed as the Caniche, meaning ‘duck dog’ and the animal gained a huge amount of popularity in France for not only its hunting prowess but also its role as a prominent entertainer. The intelligent Poodle was a perfect performing animal because of its high intelligence, attractive coat, elegant gate and good trainability. Once known throughout mainland Europe for its hunting qualities, the Poodle was later developed into the Miniature Poodle and Toy Poodle varieties. Their smaller size was a plus for those hunting truffles; delicate and valuable wild fungi that would remain largely intact after being dug up by the Toy Poodle’s smaller paws. The Toy Poodle type became very popular with the aristocracy and royalty throughout the 18th and 19th Centuries and the breed’s grandeur remains somewhat intact today as an iconic symbol of high status. The list of famous poodle owners is almost endless. Here are a few you’ll know: Barbara Streisand, Grace Kelly, Joan Collins, Elizabeth Taylor, Shirley Bassey, Audrey Hepburn, Jackie Kennedy, Bob Hope, Marilyn Munroe, Winston Churchill and Cary Grant. Toy Poodles love going for rides. Whether it’s in a handbag, a car or in the basket of a bicycle, Poodles love being taken places. The breed has been rated as one of the best travelling dogs and, surprisingly, don’t require as much maintenance as others. A Poodle’s hair doesn’t stop growing, so you’ll need to learn how to give them a haircut. Poodles are easily stressed and poor grooming has often resulted in nervous animals and skin irritations. Be sure to use only recommended shampoos as well. Poodles are naturally very clean, almost odourless animals and absolutely love having baths. Their development as a water retriever hunting dog means that they are great swimmers and love getting wet. Throw a ball into a swimming pool and watch them go.